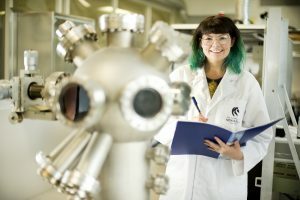 A Kamilaroi woman from Tamworth, a mentor and scientist, Karlie recently became the first Indigenous person in NSW to attain a double degree in science and mathematics. Karlie has made it her life mission to make STEM accessible to people of all different backgrounds. “I just love talking to people about science….Whenever I do a science show or talk to people, it is never just me talking…that would get super boring! It’s always a yarn. Having a yarn about science with all different types of people has taught me a lot. Sharing our stories and experiences with each other is good for everyone because we all learn something new,” Karlie said. Having recently started as a Project Officer with the CSIRO’s Indigenous STEM Education Project, Karlie’s studies and work have enabled her to be a tutor and mentor to other Aboriginal and Torres Strait Islander students, a role she is very proud of. “Science makes me really excited, so I like to share my knowledge with others and hopefully make them excited about science,” she said. Karlie enthusiastically tutors primary to university level students and is a mentor for CSIRO’s Indigenous STEM camp, ASSETS, where she supports students in achieving their goals. “If you find it interesting, do it! A career in STEM is one filled with excitement and opportunity. For me, it’s showed me that I can achieve anything. It has also allowed me to help my family and community. I’m in a position where I can support my family with their career goals and give back to my community by assisting in projects that inspire and educate.” she said. 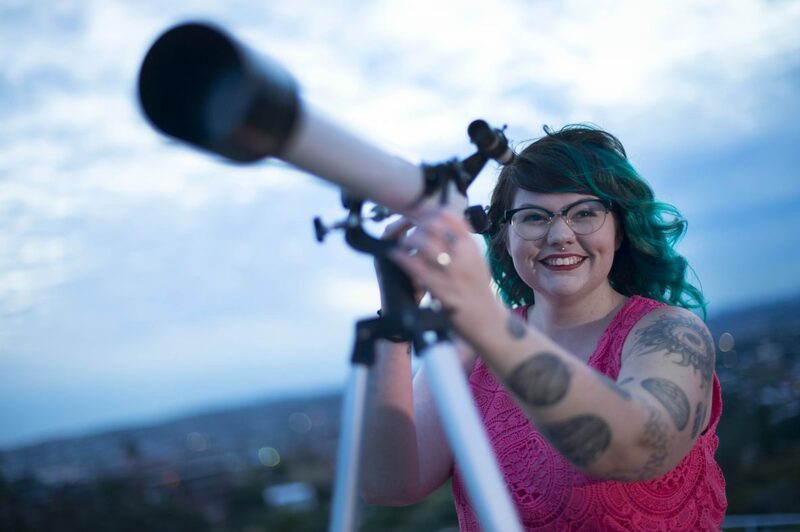 It’s the challenge that science brings that Karlie thrives on and next year she plans to begin an honours degree exploring astrophysics and Indigenous astronomy. “I believe we all have our own interpretations and experiences with science and they’re all of equal importance,” Karlie said.